Lol why go to the trouble of doing that? Its more effort than soldering the two wires together surely? Probably where a computer was connected in to monitor something. The pins correspond to RX,DTR,DSR and CTS. If you dont want it there I would remove it and rejoin the wires to each other. Yep, that's correct. all the wires to the left flipper opto board have been cut or spliced for some reason and the board has been replaced by an old leaf switch. I'll remove it and re-connect the wires as it doesn't seem to be doing anything. Is it a power supply from Cruisin' USA? thanks. 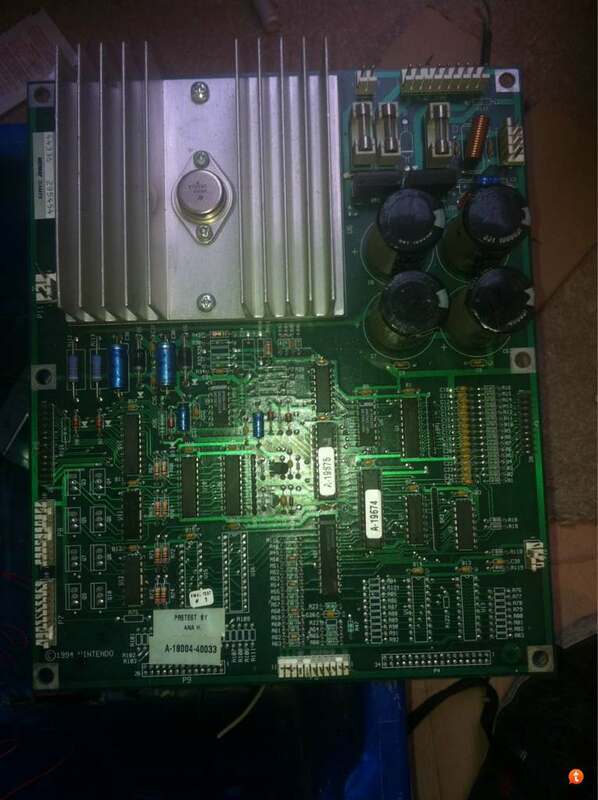 Anyone want a wheel driver board assembly thingy for a Cruisin USA ? Is @Rav not your man for that kind of stuff. Nice , thats what I like to hear. i think its from a firepower ? I'll take the diner underneath. Bloody kids, mixing up their toys with my pinball parts!! It also appeared on Firepower II, Laser Cue and Alien Poker. Right, I hadn't noticed. Perhaps another batch of them was made for FP II, which were also used on Laser Cue. Can anyone identify this piece of old fashioned Bakelite type plastic? I seem to have a bag of these, no idea when or where I got them!